In May 2015, the German Federal Ministry for Economic Affairs and Energy (BMWi) presented the long-awaited funding instrument for the market launch of fuel cell heating devices. As announced by Minister of Economic Affairs Sigmar Gabriel, the market launch is to be supported via the so-called Energy Efficiency Incentive Program. 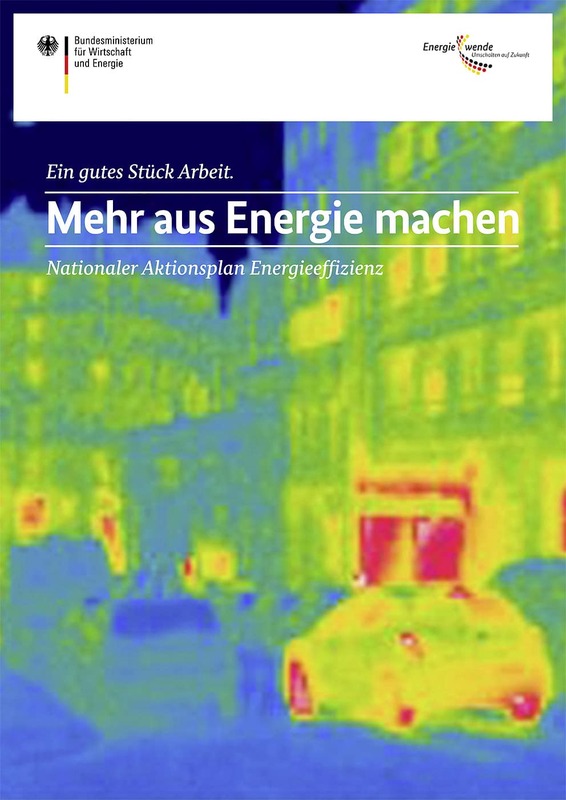 The program is part of the National Action Plan on Energy Efficiency (NAPE), which was passed by the German federal government at the end of 2014. With other projects, it aims to contribute to a big improvement in the level of effectiveness in the construction sector. The package of measures has an annual funding volume of 165 million Euros. Federal Minister of Economic Affairs Sigmar Gabriel described the Energy Efficiency Incentive Program as being an excellent addition to the existing CO2 building renovation program and market incentive program in the heating market. He also described it as being “a sensible alternative to the regrettable failure of the tax incentives,” and one which is attracting additional investment, creating jobs in Germany, and reducing dependency on fossil fuels. Gabriel is hoping that the introduction of this program will create new impulses for the “heating revolution in the boiler room”. Genuine impulses for innovation and investment are to be achieved with the grants that have been planned for the market launch of fuel cell heating systems. In this context, over the long term, the initially high investment costs of FC heating devices are to be made competitive with grant funding. The following rule applies: the older and/or more inefficient the old heating system is, and the more efficient the new one is, the higher the funding will be when the device is replaced. In addition to this, consulting measures are to be offered and the existing heating technology checked in order to gradually remove inefficient units from cellars. The long-term goal is to achieve a largely climate-neutral stock of buildings by the year 2050, as in Germany, almost 40 percent of energy is consumed in the household energy sector – particularly for the purpose of heating. The Energy Efficiency Incentive Program has replaced the previously planned tax incentive measures in the area of energy-based buildings renovation. Originally, the federal government had already planned to support the conversion work in the area of the energy-based buildings renovation through tax benefits in 2011. The goal was for homeowners who took specific steps to save energy to be rewarded. On this basis, for instance, the replacement of old windows and boilers as well as an improved level of thermal insulation were planned to be encouraged by allowing homeowners to offset the full investment costs from tax. But in 2012, despite a drawn-out process of mediation, the governing coalition was not able to agree to a common approach. By early 2015, nothing had been agreed in the coalition committee, although eventually, only a 10-percent solution had been discussed which envisaged one percent of the investment costs being offset against tax annually over the course of ten years. Subsequent to revisions, this program was ultimately agreed at the start of May 2015. With the National Plan of Action on Energy Efficiency at the start of December 2014, the federal government presented a range of measures for increasing energy efficiency in buildings – at the same time as the decision on the first Progress Report on the Energy Transition as well as the Climate Action Program 2020. With the NAPE, Gabriel wants to make “energy efficiency the second pillar of the energy transition”. A BMWi report also said: “its most important elements are the proposal to introduce a tax incentive for energy-based building renovations, the enhancement of the CO2 building renovation program and competitive tendering for energy saving projects with a planned funding volume running into the three-figure millions per year.” Approximately 1 bn. Euros per year are intended for these projects by 2019. It is, however, still unclear as to when exactly this program is to take effect. According to the latest speculation, it is unlikely to take place before 2016. The possible areas of application were not set out in the announcement in the Federal Gazette (BAnz AT 30.12.2014 B1), but range from mobile motor vehicles to the provision of stationary household energy through to special applications, such as self-sufficient off-grid operations and interruption-free supply of power. Numerous topics in the field of H2 and FC technology are mentioned as qualifying for funding, from components for PEM, solid oxide and alkaline fuel cells and electrolyzers as well as tanks, test stands and energy supply systems. The starting point for enquiries remains PtJ (project implementing organization Jülich) for all topics. The coordination is taking place – as in the past – via NOW.